Leisha "Lei Lei" Patterson is the owner of Lei Lei’s Cuisine. I have been planning and creating since I was a child. As an adult I have planned and serviced many occasions (parties, birthday celebrations, ladies night out etc.) and I have provided the culinary & dessert needs for many occasions. I am a self taught cake artist! I have experience in planning, decorating, and keep with in the budgets. For almost ten years I have been doing this each and every week I learn something new to keep elevating Lei Lei’s to the next level. I love doing things different and bring out the clients vision. Lei Lei's Cuisine, Trendi Chikz! & Lei Lei's consists of Lei Lei, cake artist as well as her husband Stylez Patterson and son's Teddy & my sweet little helper "TP". Lei Lei’s also has several dedicated friends and family that without hesitation are right there to help at any given time needed. Please feel free to email me at orders@leileis.com about your next culinary needs this is the quickest way to get in touch with me. 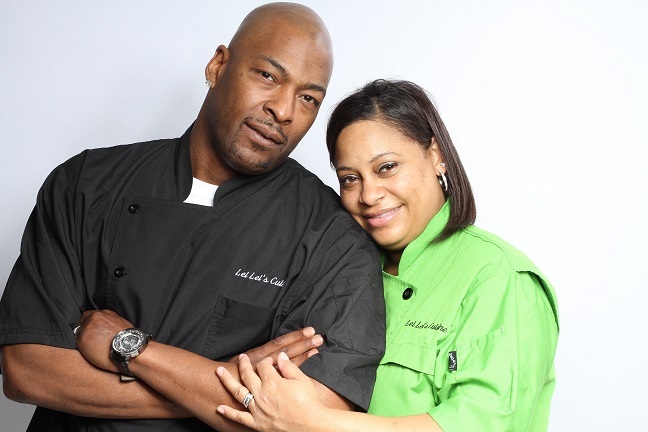 Lei Lei's Cuisine Has open a cake studio in Clemmons, NC. We are a wholesale and custom order bakery at this time but open on most Saturdays for walk up bakery.